To-Scale floor plan of Silowae's prison cell based on his drawings he sent me. 4 drawings by Silowae of the prison cell he was locked in 18 hours a day for 6 years. 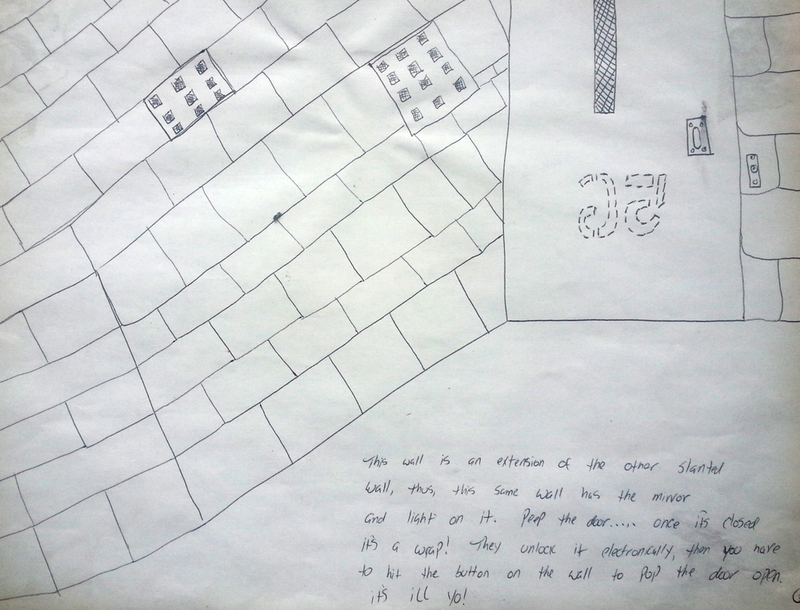 1 of 4 drawings by Silowae of the prison cell he was locked in 18 hours a day for 6 years. Letter from Silowae during his incarceration.